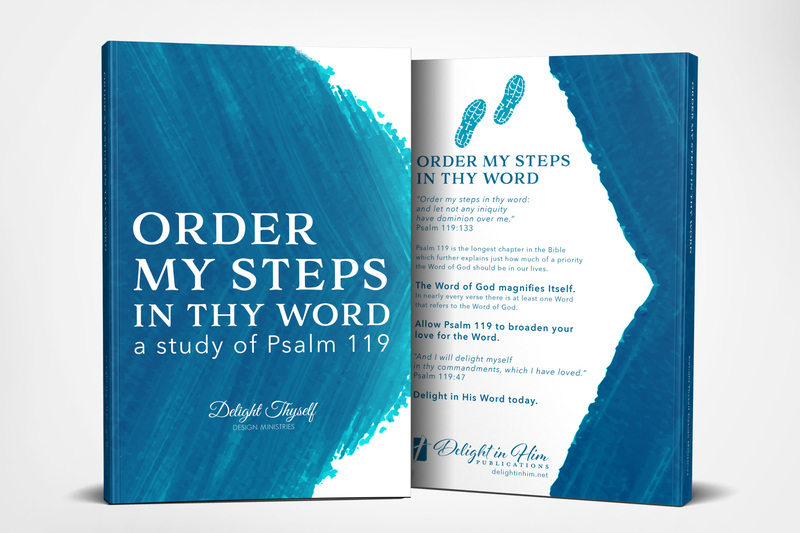 "Order My Steps In Thy Word: a study of Psalm 119"
which further explains just how much of a priority the Word of God should be in our lives. The Word of God magnifies Itself. In nearly every verse there is at least one Word that refers to the Word of God. Allow Psalm 119 to broaden your love for the Word. 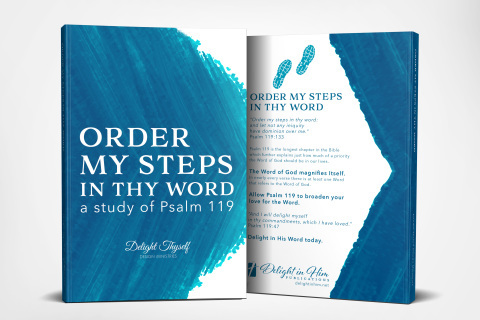 "Order My Steps" journeys verse-by-verse through Psalm 119. Can be used as a devotional or for individual/group study. An electronic version of "Delight Thyself Also In The Lord". This .epub file can be used on most ebook readers. This file must be converted before it can be used on a Kindle. We will have a Kindle file available soon. 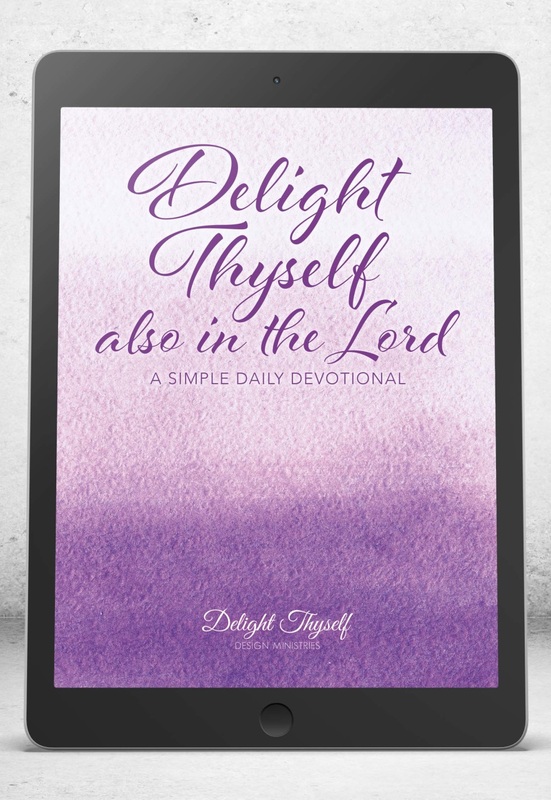 A devotional simply meant to point you to Jesus Christ through His Word. 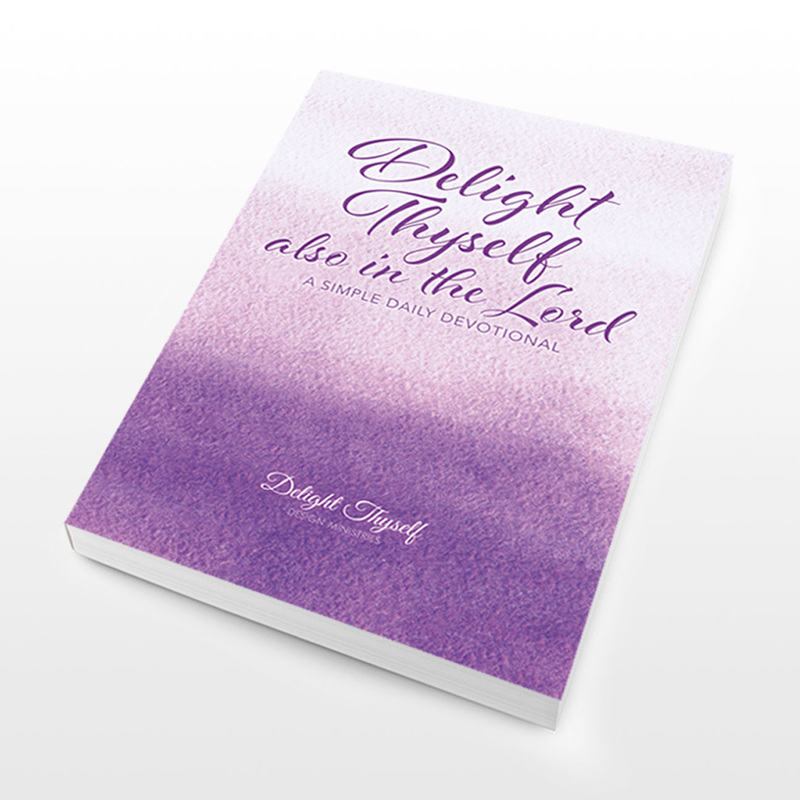 If we delight ourselves in Him, He will give us the desires that He desires for our lives.